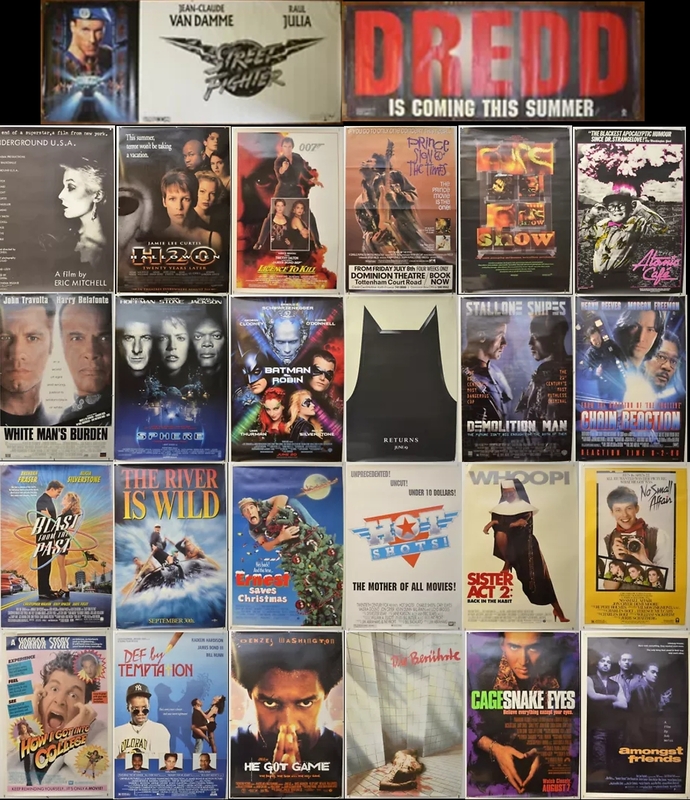 This week I have a few more US one sheet movie posters up for auction on eBay along with some British Double Crown posters and a couple of large Banners. One Sheets include 007 : LICENCE TO KILL with Timothy Dalton as James Bond, A teaser poster for BATMAN RETURNS and the release version for BATMAN AND ROBIN. Plus HALLOWEEN H20, DEMOLITION MAN with Sylvester Stallone and Wesley Snipes, DEF BY TEMPTATION and HOW I GOT INTO COLLEGE from 1989. Double Crown posters include PRINCE : SIGN O' THE TIMES (1988) , THE CURE SHOW (1993), THE ATOMIC CAFE (1982), RETURN ENGAGEMENT and a mini poster for UNDERGROUND U.S.A. (1980) starring Eric Mitchell, Patti Astor. And finally I have large vinyl banners for both STREET FIGHTER Jean Claude Van Damme and JUDGE DREDD Sylvester Stallone. Auction ends Sunday 21st October 2018.